The Association of British Dispensing Opticians has teamed up with Fun Kids, the digital radio station, to raise awareness of eye care and the role of opticians with children and their parents. ABDO hope to build engagement with children and families through the creation of the Hallux’s i-Guide – an educational audio series of eight 5-minute episodes and twelve 60 to 90 second fastfile features. The initial broadcasts commenced on Monday 1 September and will run daily at 5.00pm until Sunday 14 September 2014. A total of 12 fastfile features and 8 episodes have been produced, in addition an iGuide section consisting of 15 pages has been added to the Fun Kids website – all of which can be accessed by clicking here. 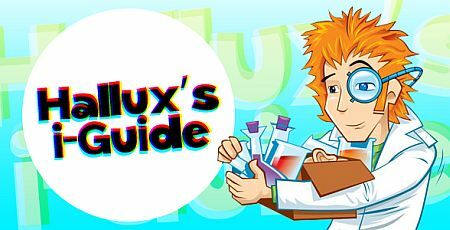 Over the past week, Fun Kids has been running a Hallux’s i-Guide competition to further drive awareness of the new series and the online pages. This is currently being promoted by all of the Fun Kids radio presenters across the week, reminding listeners about when to tune in to hear the i-Guide and directing them to enter online. It was also featured in the weekly Fun Kids newsletter that goes out to 25,000 parents. To tune in to Fun Kids digital radio or to visit them online click here. Fun Kids is a unique radio station – the UK’s only radio station for children and their families. Fun Kids’ ethos is to provide a radio environment for children which is unique to them and which they can call their own. Fun Kids entertains and educates by encouraging children to listen, use their imagination and develop interaction skills, as well as help make them more aware of their wider environment. But Fun Kids is not just a station for children – it is very much a family listen. Fun Kids is available through DAB digital radio across London and South East England, and across the country through the UK Radioplayer, online at funkidslive.com and through smart devices. Over 70,000 families listen into Fun Kids each week – that’s an audience of over 280,000 children and parents. Research through Childwise shows that 6 per cent of all 9 – 10 year olds listen to Fun Kids every week (this is on par with TV channels such as Kix, POP and Cartoonito), whilst recent Swapit Research identified that 7 per cent of children aged 8 – 10 listen to Fun Kids in the past week. From Fun Kids’ latest RAJAR analysis, 71,000 families listen to Fun Kids, which equates to over 160,000 children listening every week; in addition, Fun Kids has over 500,000 instances of listening through digital platforms. Over 125,000 visit our website each month, spending an average 11 minutes per page view, over 20,000 parents receive our weekly newsletter and Fun Kids average over 200,000 free downloads of speech features through iTunes each month. Fun Kids is very much a shared family listen, and provides a dedicated environment where you’re able to communicate with both children and parents simultaneously. Within the adult audience, Fun Kids reaches 40,100 housewives with kids aged 0 – 3, 56,000 housewives with kids aged 4 to 9, and 8,000 housewives with kids aged 10 – 14.